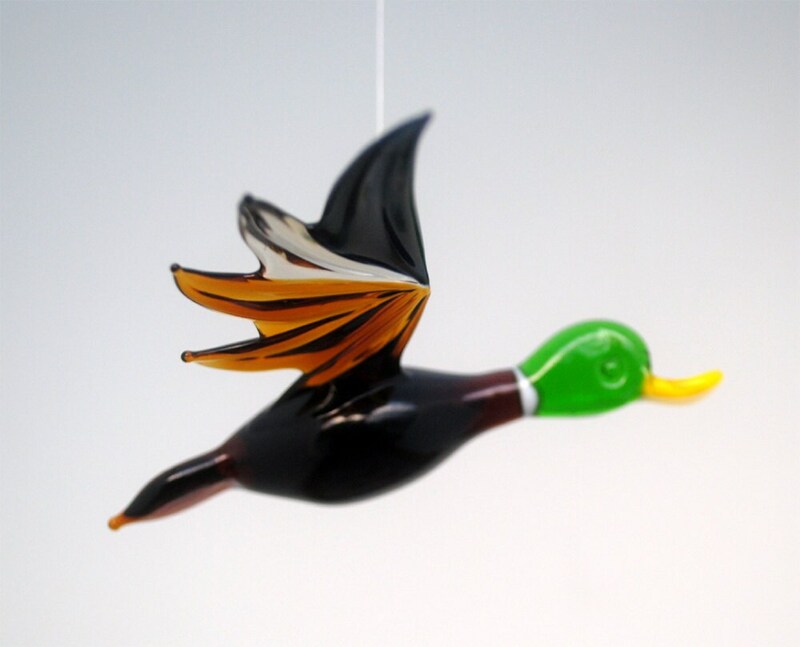 Handmade, lamp worked glass male Mallard ornament. 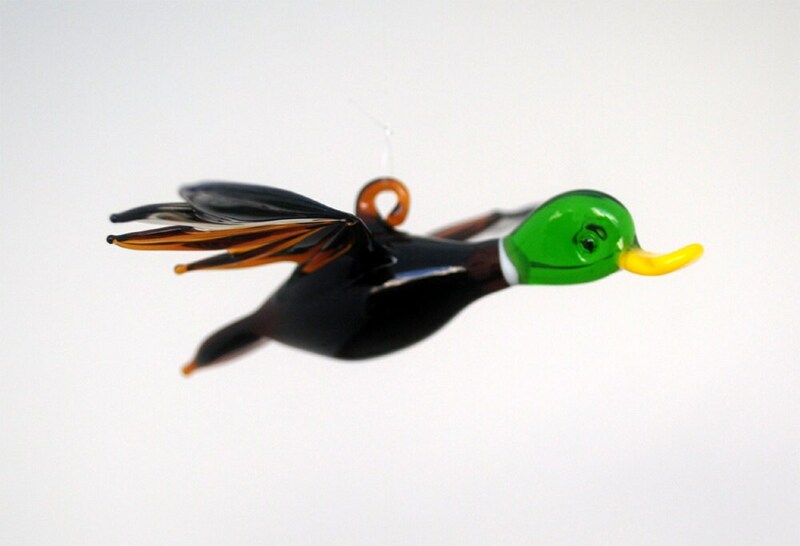 The male Mallard, also called Drakes, have a glossy green head and are grey on wings and commonly also include iridescent blue feathers especially among males. Mallards live in wetlands, eat water plants and small animals, and are social animals preferring to congregate in groups or flocks of varying sizes. This species is the main ancestor of most breeds of domesticated ducks.